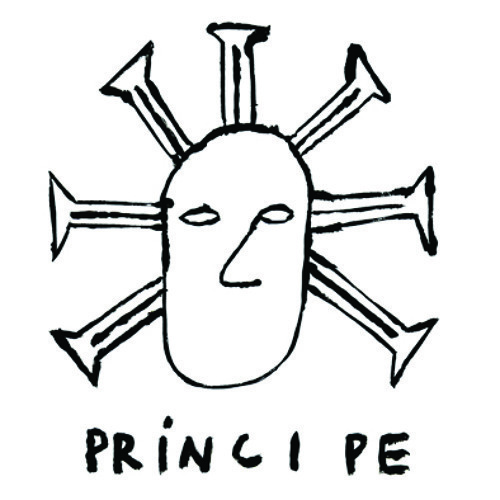 PRÍNCIPE is a record label based in Lisbon, Portugal. It is fully dedicated to releasing 100% real contemporary dance music coming out of this city, its suburbs, projects & slums. New sounds, forms and structures with their own set of poetics and cultural identity. We want to make sure that the amazing work being produced here, be it house, techno, kuduro, batida, kizomba, funaná, tarrachinha or any other new aesthetic development, will not remain unheard outside of our clubs, cellphones and homes anymore. All artwork conceived & executed by Márcio Matos. All copies individually stenciled & handpainted – so each record is unique. All sound mastering done with philosophy by Tó Pinheiro da Silva, veteran Portuguese sound genius, at his home studio.